Glass Artist that Marvels in the Multitude of Options with her Chosen Medium. 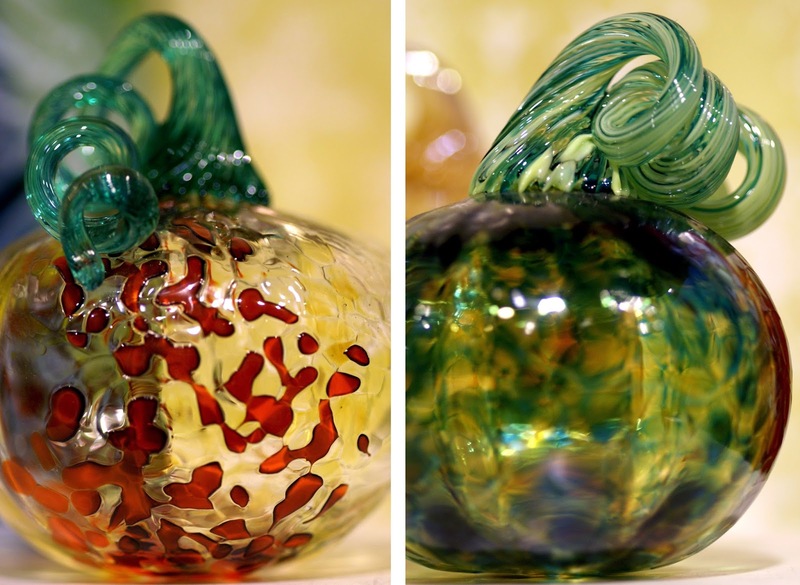 Specialist in Glass Blowing, Each Piece Shaped with Technique, Love & Color. 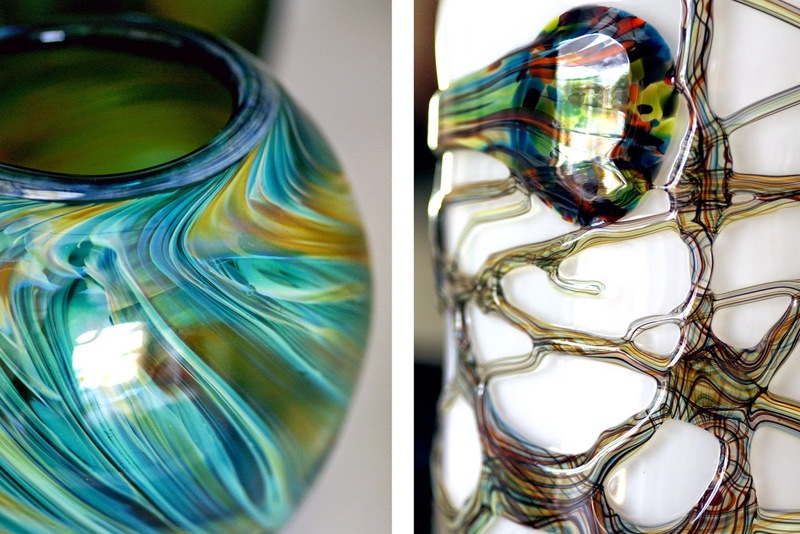 Austin Artist Morgan Bogart is blown away by the versatility of glass. There are so many techniques one can apply to this medium to take it from solid to molten and back again to solid form as you shape it into both functional and artistic pieces. 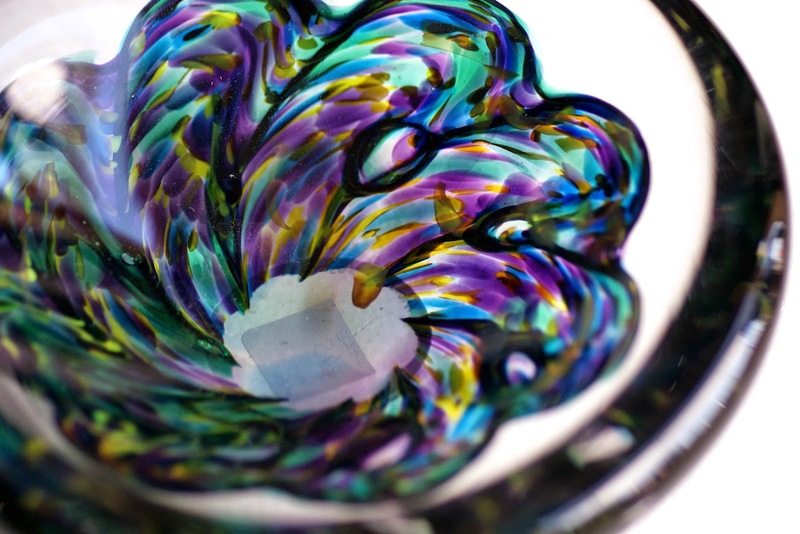 Glass also offers a unique translucence that can exist in varying degrees of thickness while openly accepting color at varying degrees of darkness. It’s hard to find another medium quite like it! 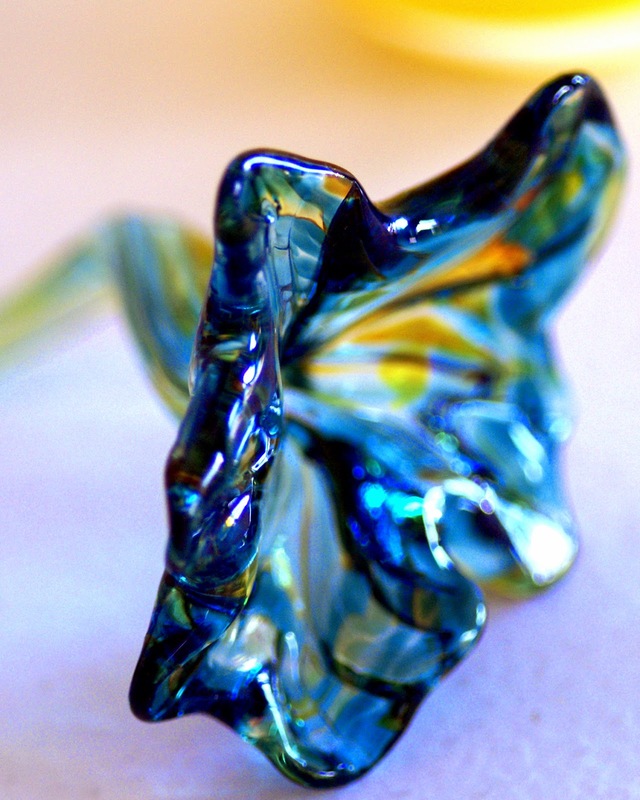 With several years of studying glass art under her belt, Morgan has opted to focus on blown glass. She hopped around the country a bit before settling in Austin, working with glass artists far and wide, even spending a stint in a studio where pieces by world renowned Chihuly are produced. 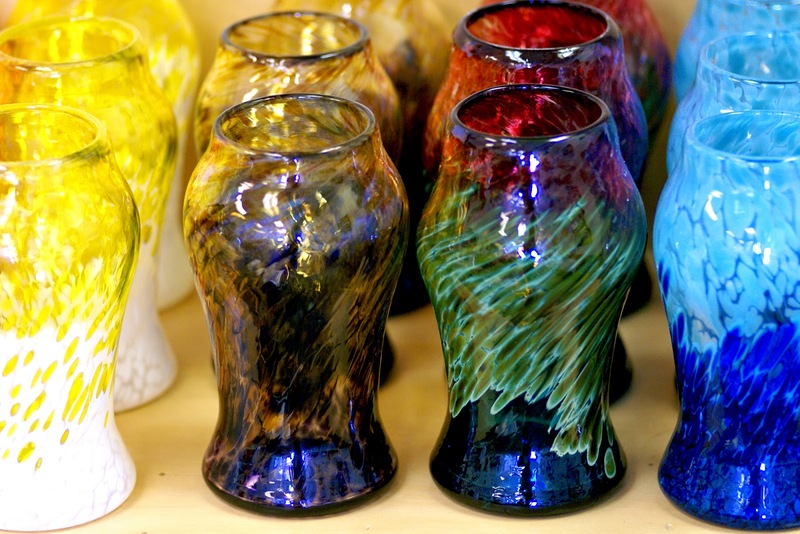 Along the way, she has also taught her craft, helping shape the future of fellow glass blowers. At Glass Blowing Austin, the studio Morgan now owns, you can take a class to experience the fundamentals of this fascinating process. While I haven’t dared to blow glass myself, I have seen it done, and it is a mesmerizing technique. I have immense respect for artists that can handle the heat implicit in this craft. Many of Morgan’s most common forms are perfect for display or use. Choose from glasses, bowls, vases and more. You’ll also see a nice selection of what Morgan considers to be more conceptual pieces, some reasonably realistic while others are more whimsical and abstract, from fabulous flowers to seasonally suited pumpkins and gourds. Beyond her well developed skill, it is the choice of colors Morgan uses that really draws me in. Take a look for yourself and try to imagine just how these pieces were made. Fascinating!